The new iPhone update will help prevent cops from searching your locked device. 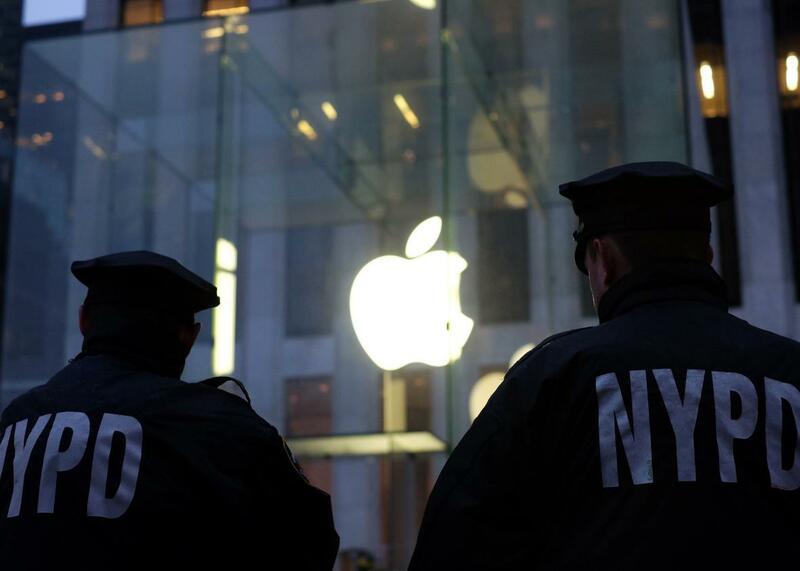 Cops probably aren’t too thrilled about the iPhone update. The iPhone’s Touch ID fingerprint unlocking is one of the most intuitive security features in consumer technology. Strong passwords are hard to remember and annoying to type. And biometric security, like fingerprint IDs, is great for keeping things locked down. But like anything, Touch ID is really great until it isn’t. Your fingerprints are, after all, readily available, and it’s not that hard for someone to force you to press a button to unlock your phone, which, let’s face it, is probably packed with all kinds of private information, like credit card numbers, search histories, or clandestine texts. The good news is that Apple’s next iPhone update, slated to be released this fall, will come with a new feature that lets users quickly disable Touch ID as a way to unlock the phone. In the new iOS 11, if you quickly tap your home button five times, the phone reverts to a password-only screen lock (with an option to dial 911 if needed). Reverting to a password-only mode offers an extra layer of privacy protection from a police officer, or an abusive partner, or anyone else who may force or coerce a person into touching their iPhone to unlock it. The new feature was discovered by someone on Twitter who installed the beta version of the soon-to-be-released iPhone update. While police are technically required by the Supreme Court to get a warrant to search your phone if it’s locked—in the same way they need to get a warrant to search your house—some courts have ruled that law enforcement can force you to use your fingerprint to unlock a phone. But cops can’t force you to reveal your password. The idea is that police can make you turn over something you have (a fingerprint, a driver’s license) but not something you know (like a passcode). The new iPhone update is also expected to include a new face-recognition unlockingfeature. That makes this screen-lock shortcut even more important, considering how easy it would be for someone to confiscate your phone and hold it up to your face. There are a lot of reasons to protest these days, but this is also useful in other circumstances. For instance, searches of mobile phones by border agents have skyrocketed in recent years. According to data from the Department of Homeland Security reported by NBC, in 2015 there were fewer than 5,000 cases of cellphone searches by border agents. But in 2016, that number grew to nearly 25,000. DHS reportedly searched 5,000 phones in February of this year alone. To be sure, in some cases, federal law enforcement may demand your password anyway, especially at the border. But having that extra layer of protection is a welcome move. So don’t sleep on the new iPhone update. Whether it’s protecting your data from warrantless searches or your private information from nefarious hackers, it’s super important to have all latest security features on deck. Plus the new face-unlocking feature looks pretty cool, too.